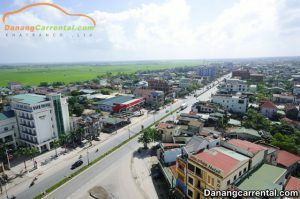 Dong Ha City is an economic, political, cultural and social center of Quang Tri Province, north borders Cam Lo and Gio Linh districts, south and east borders Trieu Phong district, west borders Cam Lo district. Visitors are staying in Da Nang and visitors would like to transfer from Da Nang to Dong Ha. 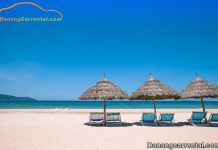 Da Nang Car rental offers transfer from Da Nang to Dong Ha by Car rental. 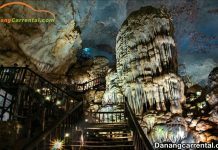 How to get from Da Nang to Dong Ha (Quang Tri)? From Da Nang to Dong Ha about 172 km on high way 1A. Da Nang to Dong Ha by Car rental takes about 3 hours 30 minutes transfer without stop. From Da Nang to Dong Ha, visitors will go through many landscapes such as Hai Van Pass, Lang Co Bay, Luxury resorts, Hue Citadel, La Vang,… make the trip more exciting. On the way from Da Nang to Dong Ha, visitors can stop at Hai Van Pass – one of the most scenic and dangerous roads in Viet Nam. And next, Lang Co Bay – one of the most beautiful bays in the world. In Lang Co, visitors can delicious some special seafood with fresh and reasonable price. Come to Hue, visitors can visit Relics Of the Ancient Capital of Hue – It was recognized by UNESCO as World Cultural Heritage. To Quang Tri province, Quang Tri Citadel and Hien Luong Bridge are places that visitors can not be ignored. Kha Tran Car rental is committed to bring visitors the most perfect services. 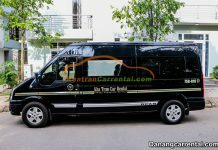 Visitors can view more details and booking on website danangcarrental.com or hotline (+84) 916510201 – (+84) 34 797 6789.